As secondary school student, the desire to excel has started burning like fire in his bone and he was sure of maintaining brilliant performance until graduation. But his academic pursuit was interrupted by his parents’ financial challenges. He stayed at home for two years after his SS1, prepared and sat for his WAEC exam and JAMB. On getting admission he resolved to be the best graduating student in the school. He toiled and worked hard and has reaped Honour, fame and prizes. 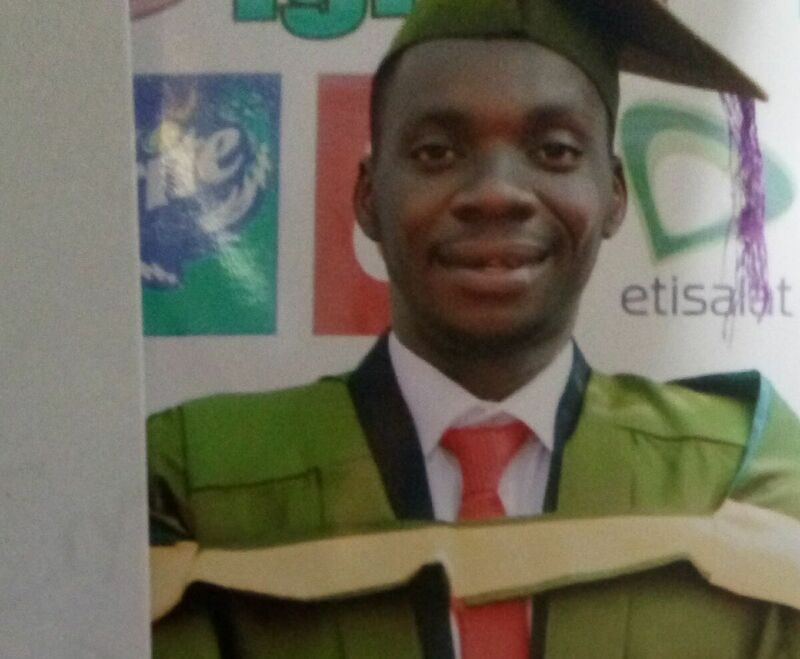 Last Friday, he was given the award of the Overall Best Graduating Student, University of Nigeria, Nsukka. 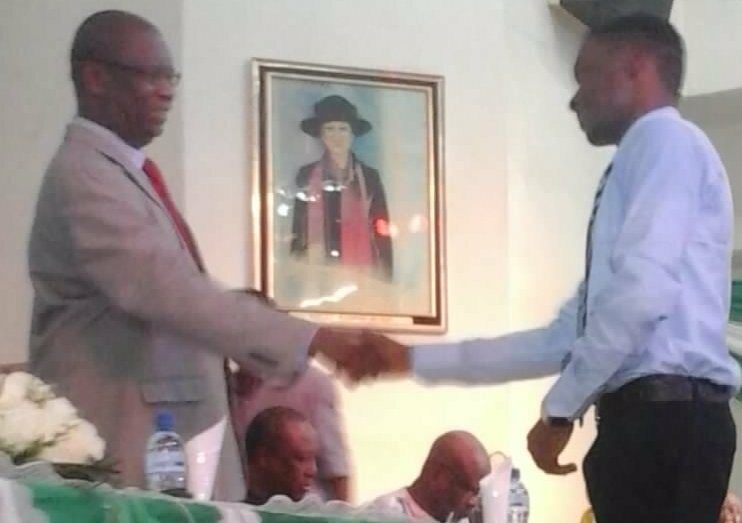 On this week edition of Campus People SAMUEL SAMPSON MBA had a chat with Brojid.com Editor, JOSEPH DINWOKE where he shared his secrets, challenges, how he surmounted them and advice for first class aspirants. Sit back and enjoy this insightful conversation. Congratulations on your award. How did you feel when you realized that you are the overall best graduating Student University of Nigeria, Nsukka? I was very happy and excited because it’s like a dream come true. Tell me a bit about your academic background. My primary school was in Aba; my JSS1 & 2 was in Ebonyi state, my home state. Due to distance from where we lived then in Aba, I changed another school to Aba until we relocated to Yenago when I had my did my senior secondary. And from your SS3 you got admission to university straight? No! Along the line I couldn’t finish my secondary school. I actually dropped out after my SS1 due to some financial difficulties my parents had then. So I stayed at home for two years before writing WAEC and JAMB. You mean you did your SS2 & SS3 at home? Like seriously? How were you able to prepare for your WAEC & JAMB at home? It was the determination I had that spurred me not to allow the difficulty to weigh me down; though I registered for remedial classes. My first JAMB was seized; it was with the second one that I got admission. Is your emergence as the Overall Best a goal or an accident? (Smiles) It was a goal; not an accident. I desired it from the beginning. You are not the only person with the goal of becoming the overall best graduating. What did you do to distinguish yourself? I owe my being the Best Graduating Student to God Almighty. Coming from the secondary school background I came from, I couldn’t have aimed at such a height. But on getting into the campus, I meet the right people; they ignited the desire for success which I have always had. With that I now set the goal of being the Best Graduating Student. This goal now gave me focus; it became the force that was pulling me even when things were difficult. The goal I set propelled me to live a purpose driven life in the midst of many distraction on campus. Of course, hard work and the determination to attain my goal helped me greatly. “The goal I set propelled me to live a purpose driven life in the midst of many distraction on campus.” Apart from the propelling force of your goal, what are practical steps you took to overcome distractions? Apart from the goal, I always consider the rational for whatever I want to get involved in. Among my friends we may say, let’s go out but before we go, we ask, “To do what?”. When no serious answer is forth coming see that there is no need for going out. The goal I set propelled me to live a purpose driven life in the midst of many distraction on campus. Of course, hard work and the determination to obtain my goal helped me greatly. Since we have a goal, every action and decision was considered based on this goal set. So once the step we were about to take is weighed on the scale of this goal and found wanting, automatically it won’t stand. Earlier you said that when you got to campus, you met the right people who motivated you. Tell me about these right people. When I got to school, there is this general mindset, especially among the set ahead of us in Banking and Finance, that this course is difficult and that a C is ok. But I was squatting in my fellowship secretariat, Deeper Life Campus Fellowship, and the people I meet there were telling me that B is failure and that I should just aim at A so that at worse, I will just get B. These are the kind of information I was exposed to at that early age. Some believed that C is the best they can make while I was being told that B is already a failure. That helped me set the goal at that early stage. That made me sits up at that early in pursuit of the best result. Did you socialize at all or did you fall into the category of triangular student? Were you a Jaco meter? Actually I play football, watched football and play video games a lot. Yes. That’s why many people are still socked about my result. Meanwhile due to my Christian background, I am not a party type. I didn’t party but I socialised. So you missed all the picnics? Hmmmm I think I attended once; in my final year. Tell me about the difficulty or challenge you encountred while pursuing this goal? The challenges I had were financial. For instance they say, buy this text-book and you just realize that you can afford it. That means you have to borrow from someone and adjust your time-table to when the person is sleeping to be able to read it. Paying school was also a challenge which made me register for courses late and even squatted pending when I pay to get hostel. A lot of people believe that going to campus fellowship is a distraction since that’s not why you came to school. Do you think it’s the fellowship you attended that limited you from getting 5.0? The thing is this: it’s about time management. You have 24 hours in a day and I don’t think there is anybody that reads for 24 hours in a day. You don’t even need to read that long to make it. God has been the major factor in my success; so I couldn’t have left him alone because fellowship takes time. Fellowship was a priority to me! At most church will take three hours; so I don’t see how it will affect my day. So, I don’t think fellowship is a distraction. It’s about what you do with your time after before and after the fellowship. they say, buy this text-book and you just realize that you can afford it. That means you have to borrow from someone and adjust your time-table to when the person is sleeping to be able to read it. Tell me about your babes on campus. Eeem.. I had a lot of girl friends? A lot of girl friends?! No. I said female friends, But since you used babes, I had a lot of babes. Being on campus, there is no way you can just be there without them. Towards my final year, when I was the academic board chairman of my department, I had to be in touch with everybody. But as for emotional attachment, I didn’t have any. Why? You couldn’t gather liver to chik any babe? No, I dint see any need for it. I don’t think it’s important. There is an undergraduate who is aspiring to make a first class. Please talk to him directly. Set goals; big goals. Don’t set goals that won’t challenge you to put in your best. Setting goals does not guarantee that you will achieve it but you are sure that even if you don’t reach it, you will reach something very close to it. Let that goal decide what you do and what you don’t do in school. It’s not of him that desired first class but of God that giveth it. Beyond setting goals, you have to work hard to achieve this goal. Nothing good comes easy. It requires time and sacrifices. That why you can’t be like others; doing everything others do. You have to act differently. So, if you want to stand out, you have to say away from certain things. I believe there is no hard and fast rule to success. It’s more of a personal thing. Try to understand what works for you – your reading pattern, schedule. It should not just be according to someone else’s. You should try and work out a schedule that will work for you. Occasionally, you will have challenges like your result may not be what you wanted but just push it aside and move on. Very importantly, put your trust in God. It’s not of him that desired first class but of God that giveth it.